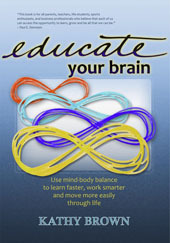 ~ Paul E. Dennison, Ph.D.
Kathy Brown has given us the roadmap for using Brain Gym in all parts of life. and “Must Read” for growth at every stage of development. It’s at the top of my list of recommendations for those wanting to find out more about our program.